Welcome to the first day of the heårtland Blog Tour! 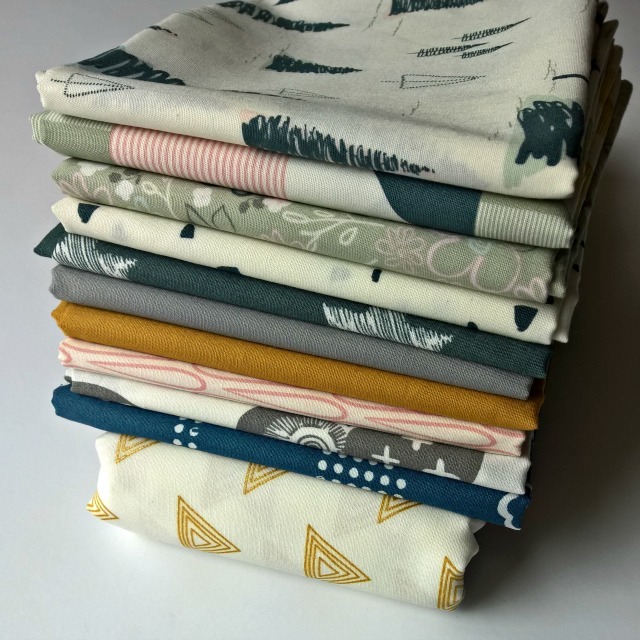 Pat Bravo's new line from Art Gallery Fabrics is a beaut! Pat has said her heart 'traveled to the inland forests throughout Scandinavia,' in designing this collection, and I find it captivating to imagine such a place. Choosing fabrics sight-unseen is always a bit uncertain, but I tried to select a variety of color, value, and scale, (plus the geometrics I was most drawn to!) for my project, and boy was I pleased with my choices once I had the fabrics in hand. When I was deciding on a quilt plan for my heårtland fabrics, I really wanted to do something with larger piecing that would show off those prints. And I wanted something that would be easy enough for others to make, if they so chose. I finally settled on a giant plus quilt, using Leanne/she can quilt's tutorial, and I never looked back. A twist in Leanne's design is to remove the center block of a few of the pluses and replace it with a block of 'background' fabric. I opted for this tweak just three times, all in close proximity, and I love the look. For the background of my quilt, I had chosen the low-volume Pearl and Gold in Metallic, and lucky me, I had a good piece left to use as the centerpiece of the pieced backing, as well as the binding. For quilting, I went with a dense organic crosshatch using Aurifil 50wt 2021 (Natural White), which gave the quilt beautiful texture. The patterns and color mix of the heårtland collection were a joy to work with and I find the end result so tranquil, just as I imagine those heårtland forests to be. Congrats to Pat on her new line, and many thanks to Amy/During Quiet Time for hosting and kicking off the tour by offering a free copy of her new pattern designed specifically for heårtland. You're here at the first stop, and tomorrow, check in with Jess/Craftiness is not Optional AND Charise/Charise Creates. Enjoy your stroll through the heårtland! This quilt was on my FAL2016 list! Beautiful quilt Debbie- I can't wait to see all the other makes. It's always fascinating to me when given the same palette, what different things emerge. 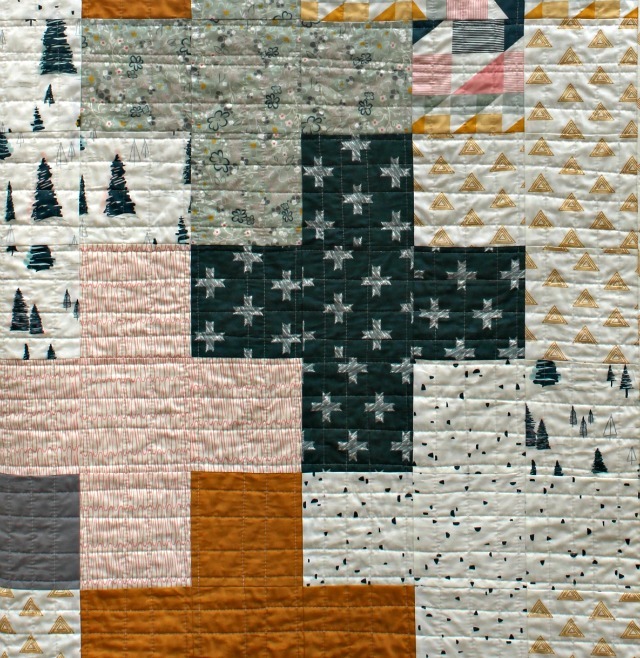 I love this quilt and the fabrics look divine! This pattern goes straight to my to do list! It came out beautifully Debbie! Thank you for participating and sharing your gorgeous project with everyone! I love that metallic print that you chose for the background. The perfect show off pattern to highlight the prints. Love it. 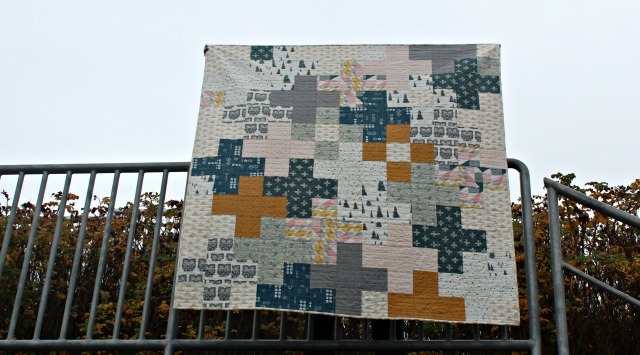 Gorgeous fabrics make a gorgeous quilt! Such a nice quilt Debbie ! I love the colours of this new collection. The pattern you chose is perfect for this beautiful and calm palette. Lovely quilt!!! I like your choice of background! Love the quilt and the fabrics! 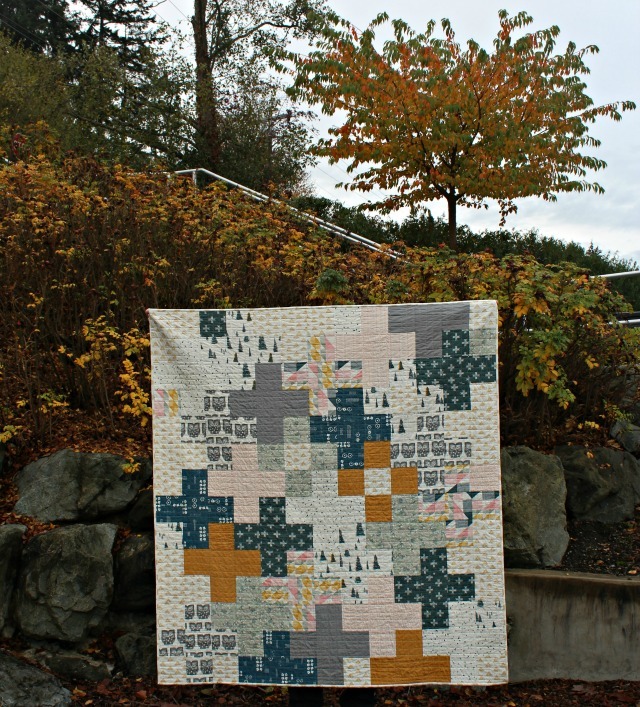 I made a plus quilt earlier this year and I was very pleased with it -- so simple but so lovely! And definitely a good way to not chop larger prints to unrecognizable bits. This is the perfect quilt to show off these beautiful fabrics. I'm loving this color combo these days. 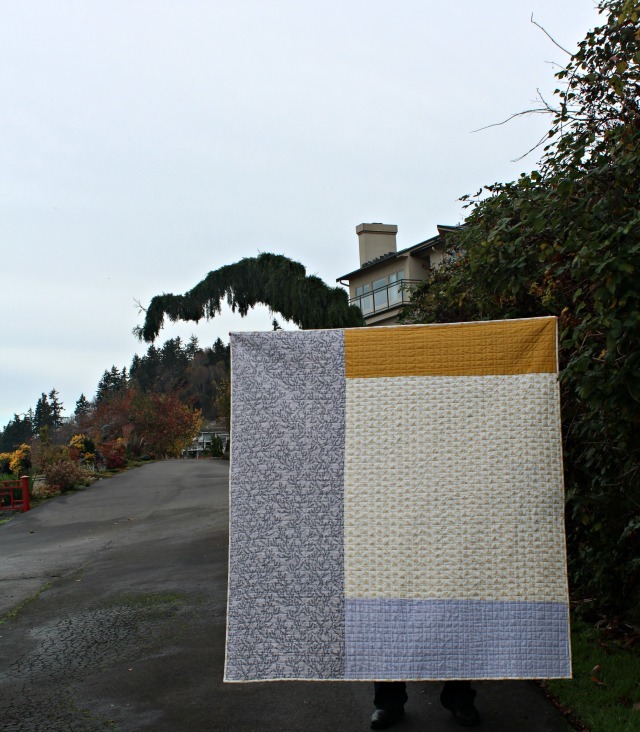 I love the simplicity of a plus block quilt, it really does let these gorgeous prints shine! 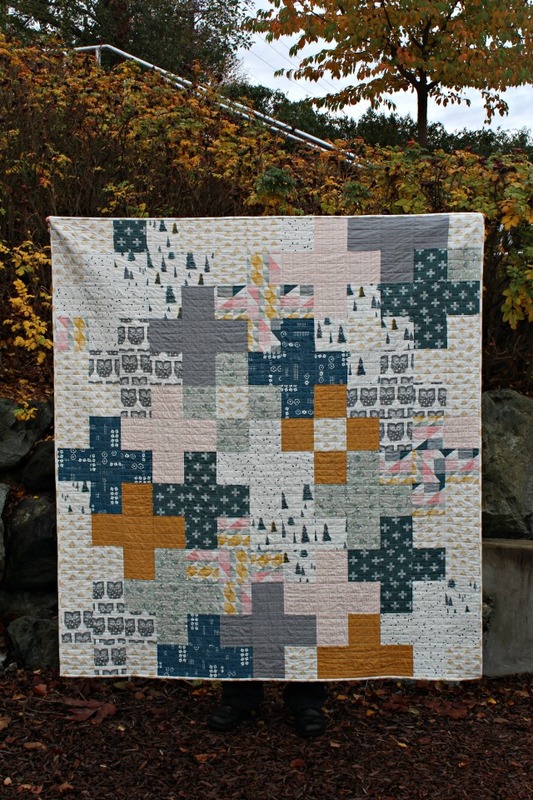 A truly beautiful quilt and a great choice to show off this gorgeous fabrics! A great use of these fabrics! I like your fabric choices and the way you used them. Fabulous! Oh - love this quilt and the fabric - especially the blues. Great choice for a pattern. Beautiful!! I love your quilt! Thanks for the shout out on my tutorial. There is a hint of Scandanavia in that quilt. Well done, with lovely fabrics. I love, love, love this Heartland fabric. 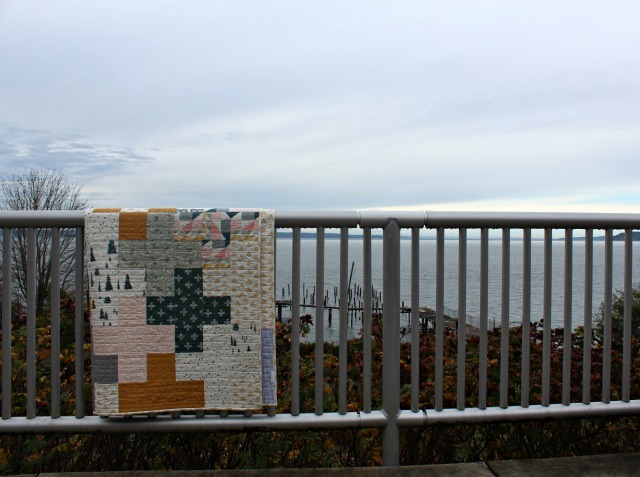 Your quilt is amazing-the color layout is fabulous! 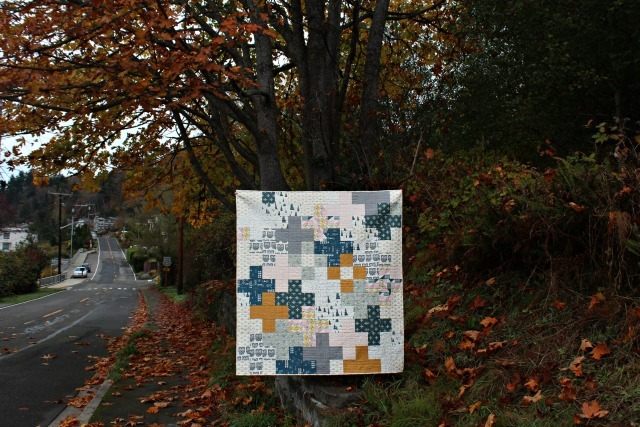 What's not to love about a plus quilt;-) and your's is gorgeous! Love these fabrics - so cool in that wonderful quilt! I really love this colourway Debbie. 'Plus' you chose the perfect pattern ; ) See what I did there ? I absolutely love this! I'm just crazy about Plus quilts and this is the perfect pattern to showcase these gorgeous prints and colours.